The Hard Rock Hotel and Casino in Las Vegas opens their the HRH all suite tower this week. It’s the second tower the Hard Rock has opened this year. Along with the new rooms comes a new spa and new club. Hard Rock executives have said they will target a more high-end, luxury-seeking guest with the new suites. The HRH Tower will offer a separate entrance and guest check-in area. Rates for the suites will begin at $119 but are as high as $649 on New Year’s Eve. Also opening this week at the resort are the 25,000-square-foot Reliquary Spa and the Vanity nightclub. I used to love the Hard Rock back in the day, but the last time I was their I didn’t really enjoy myself and I’ve been told that the “douche bag level” is only increasing so I stayed away. The increased room capacity along with the stagnant increased casino size for douche bags will likely keep me away for any time in the foreseeable future. On my flight home from Las Vegas I caught some kind of virus. It’s had me out of commission for the week, but that will change. I added a flickr gallery with pictures from the trip. Enjoy the pictures for the time being. I’ll be writing up reviews over the next few weeks. The Sahara in Las Vegas closed two of its three towers this week leaving only the Tangiers tower open. That’s the original tower at the casino. The towers will be closed through the holiday season and if demand picks up the towers will, obviously, re-open. Michael Zaletel, owner of travel site i4vegas.com, said hotels often shut down rooms during slow seasons to help reduce expenses and salaries. Sahara also shut down its buffet last week, as it does every year at this time. Room capacity is increasing on the Las Vegas strip this month with the opening of CityCenter. The easiest, short term, way to save money is to lower capacity at the hotel. I wouldn’t be surprised if other casinos follow suit. Stiffs and Georges mentions that room rates will continue their downward trend until March where they will begin to creep up again. Everywhere, except Harrah’s that is. Last year we saw Bally’s closed its sportsbook after football season and I wouldn’t be surprised if that happens again this year. It’s part of dealing with the poor economy. Every casino and hotel that has opened on the strip in the past few years has been high end. When the economy turns around this is going to leave a need to serve the low to middle income customer. There will be plenty of rooms available that will be available fill that need, but the hotels that are looking forward to that time will be the winners. Sahara has the kind of history that a portion of the Las Vegas tourists will seek. It will be a matter if they clean up and prepare and update enough to capture the interest of those customers. I’m not sure that, SBE Entertainment, the company that owns the Sahara wants that but they may sell and move on with their investment. SBE buys properties and makes them cool. I’m not sure that the Sahara can be transformed that way – especially in this economy. In fact, I don’t even see the Sahara listed under their hotel properties. 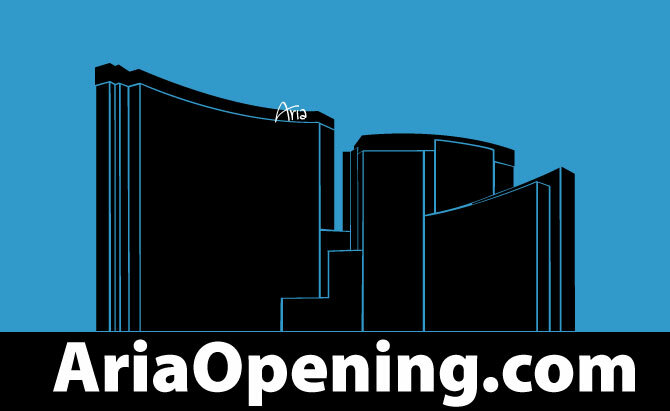 Two of my favorite Las Vegas blogs, Rate Vegas and Vegas Tripping, have teamed up to provide coverage of the grand opening of Aria when it opens next week at ariaopening.com. Vegas Tripping has full details on what ariaopening will offer here. There has been much talk about CityCenter, and its parts, opening to the public. After reading many articles and listening to a slew of podcasts my feelings are mixed. I’m excited to look at the shiny new “city” of buildings but I’m also managing expectations because many flaws have been pointed out to me. I want to share the pictures and articles that I’ve read over the past week. There is plenty of eye candy and reading below. Vegas Today and Tomorrow has a ton of pictures of the entire complex. Las Vegas Sun has a mainstream look at the opening from last week. Vegas Rex has lots of pictures and thoughts from the openings of Mandarin Oriental and Crystals shopping mall. Hunter from Rate Vegas has a first hand view of Aria and has plenty of pictures. Las Vegas Sun covers the Mandarin Oriental Opening. The Strip Podcast has a lot of great coverage on CityCenter’s opening. Yesterday’s post includes a look at Jim Murren (MGM Mirage CEO) and some video. Vegas Today and Tomorrow added some pictures inside the Mandarin Oriental. Looks real nice. The bad economy hits downtown Las Vegas. Binion’s Gambling Hall and Hotel is closing all of it’s 365 rooms and laying off 100 people. Spokeswoman Lisa Robinson said the decision was made as a result of the economic downturn, which has decreased occupancy at the property and other hotels across the Las Vegas Valley. Robinson said Binion’s also will close the Binion’s Original Coffee Shop and discontinue keno. The casino, sports book, poker room and Binion’s Ranch Steakhouse on the property’s 24th floor will stay open. Robinson said the decision was made Friday. She said Binion’s hasn’t determined when the rooms might reopen. It was only a matter of time for this to happen and it’s nice to see that the casino portion will remain open. I’ve stopped at Binion’s almost every time I’ve gone downtown because of it’s place in history. I would never stay there, but the gambling is on par with the other downtown properties, if not a little dirtier. The article goes on to say that there may be an investment group interested in refurbishing the hotel. I can’t see that making a difference. Maybe there will be a fit for more low budget hotel rooms as everything on the strip that has opened in the recent past and everything opening will be for higher end travelers. I have no desire to stay downtown, no matter the cost and I expect more domino’s to fall before downtown get built up, but we will see. Earlier this year Harrah’s started purchasing debt of Planet Hollywood who has since defaulted on their debt obligations. Right before Thanksgiving Harrah’s sent an email to its employees stating their interest in Planet Hollywood. “The Planet Hollywood resort sits adjacent to the Paris Las Vegas Hotel & Casino, currently the southernmost of six contiguous Harrah’s-owned properties on the east side of the Las Vegas Strip,” Loveman’s e-mail said. Competition always leads to good service for customers. If the customer doesn’t like what he/she receives from on company they can choose to go elsewhere. That’s the main reason I do not look forward to Harrah’s taking over Planet Hollywood. This move would likely mean Planet Hollywood will eventually slow down with some of their innovative marketing ideas and just be another Harrah’s casino with the same mediocre service and offers. I’m not worried about the gambling at Planet Hollywood going downhill since they already have plenty of 6:5 blackjack and mediocre video poker. I’m more concerned with the overall vibe and feel of the casino as well as the valuable and interesting marketing ideas at Planet Hollywood. Maybe Harrah’s won’t get in the way of something small and cool, but that’s not the way the machine works and that’s too bad. 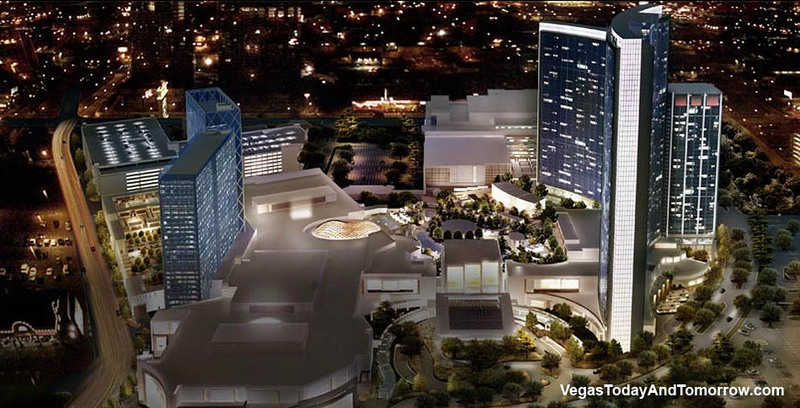 Penn National Gaming made the first bid for the stalled Fontainebleau project in Las Vegas. They offered $50 million for the casino that was valued at almost $3 billion. About $1.5 billion has already been put into building Fontainbleau. Penn National would still have to pay for the rest of construction, but this is a start. Penn National Gaming Inc. on Monday made a $50 million “stalking horse” bid to buy the stalled Fontainebleau casino-resort in Las Vegas, with plans to spend another $1.46 billion to complete the project. This is only the first bid and I have been reading rumors about other companies that may be making bids. Nothing would surprise me with this casino. The property may, alone, be worth more than $50 million. The promise here is that the project will be completed. I’m not sure that every bidder would complete the project as it stands. There is a couple of months until bidding is up. I’m sure this isn’t the last we’ll hear about this casino with a name I’d love to never write again. In 2007 Boyd Gaming changed the Las Vegas strip. They put an end to the Stardust and planned to replace it with a megaplex called Echelon Place. Complex on the complex was flying last year as there were plans for multiple hotels, a theater, shopping and more. The idea wasn’t too different than that of CityCenter. As of last week it looks as if those plans are on hold temporarily or forever. When Boyd Gaming reported earnings on October 27 they mentioned that Echelon, which had already had construction suspended, would be on hold for 3-5 years. At the same time they said that they still remained interested in buying all or part of Station Casinos’ assets. The economy may turn around, but it will likely take more than a few years for it to get back to where it was two years ago. If Boyd ends up obtaining some or all of Station’s casinos then I don’t know that there will be a desire to have a brand new, upscale asset as part of their portfolio. If they do complete it they may have to find different partners to be involved. I just had a fun mental picture of what a low budget megaplex may include if Boyd decides to built the complex, but switch focus. I’m not an artist, but here’s my rendering since I can’t upload the file for some reason. For a full timeline of events with Echelon, head over to Vegas Today and Tomorrow.